Call Us Today at (740) 753-1737 for Your Free Estimate! 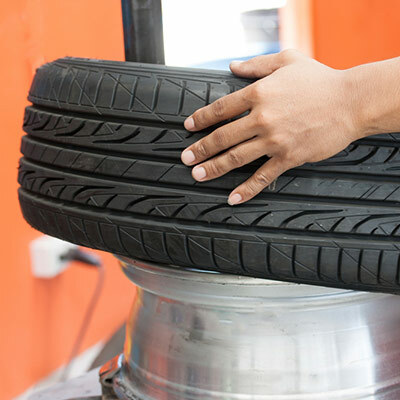 If you need new tires, routine maintenance or suspension work done, Dana’s Tire Center is here to help! Since 1983 we’ve been serving motorists throughout Nelsonville, OH and the surrounding Athens County area. Drive on in to our shop for same-day service and repairs, and honest prices from a dependable business. If you’re looking for an all-in-one destination for auto repair in Athens County, OH, there’s no better choice for your vehicle or your wallet than Dana’s Tire Center. We’re here to serve your vehicle in any capacity, whether the time has come from routine maintenance or you’re looking for a quick resolution to an unforeseen repair. Our experts take pride in the work they do and we treat every vehicle with the utmost respect. We know the value of repeat business, which is why we don’t give our customers reason to go anywhere else for their auto services! Come to us for engine and transmission work, heating and air conditioning repair, brake systems service, strut replacements, steering problems, fluid changes and all electrical work. We’ve been family-owned and –operated since 1983! We strive to offer same-day service on all basic and minor repairs. We’re happy to offer you a free quote on service. We welcome drivers from all around Athens County and the surrounding areas. We offer a range of high-quality, brand name tires, including MasterCraft, Goodyear, Cooper, Kelly and Michelin! Whether it’s new tires or complete repairs for your steering column, Dana’s Tire Center is here to help you. "Great friendly people, fast service!" "I got a flat in the town Nelsonville and they came to my rescue. They brought a portable air tank put air in my tire to get me to their shop..."